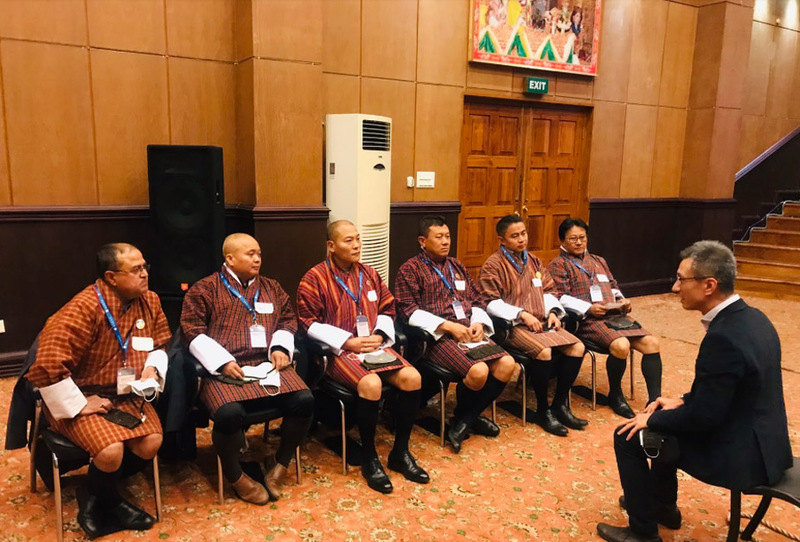 ROHEI was invited by the Bhutan RIGSS (Royal Institute for Governance and Strategic Studies), a civil service organisation, to provide leadership training for its senior leaders. The country’s leaders recognise the importance of having a leadership that is trusted by the people, to build a stronger nation. ROHEI delivered the three-day Relational Leadership programme in Bhutan last 7-9 January 2019. This is part of the two-week Bhutan Executive Services Training programme, which the Bhutan government created for its RIGSS civil service leaders. ROHEI was privileged to share insights on Building a Culture of Trust, and help strengthen relational competencies of the leaders which are integral to increase engagement and build cohesive teams. The training enhanced the participants’ skills in giving and receiving feedback. They learned new skills to engage meaningfully in courageous conversations that promote clarity, connection, and collaboration. “The topics on being a relational leader (Real8ability) and giving and receiving feedback (Feedback is a Gift) are two areas I definitely see applying both at work as a civil servant of Bhutan, as well as in the homefront,” one of the participants shared. “I really need to learn from my people,” said another. Learn more about ROHEI's approach to Culture Building. We are a learning and consulting partner in building a culture of trust where people and results are honoured. We develop trusted and relationally competent leaders and help organisations navigate the people aspect of their change journeys. Receive updates and insights from ROHEI to help you build culture, develop leaders, and manage change. © 2007-2019 ROHEI. All rights reserved.